The hotel is ideal for meetings in Offenburg and excursions to the Black Forest or Strasbourg. 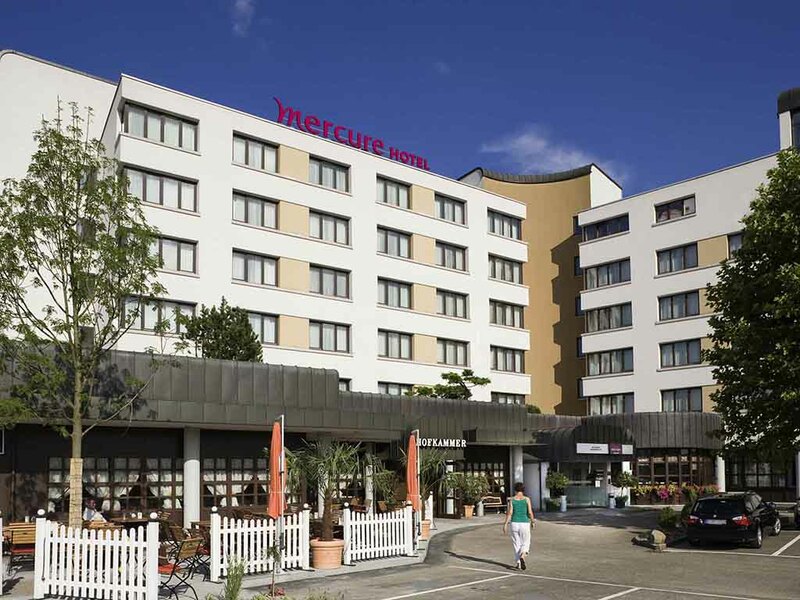 The 4-star Mercure Hotel Offenburg enjoys a central location by the exhibition center and town hall. All 132 rooms are air conditioned and have free WIFI, and our CCH-certified hotel features 7 meeting rooms with WIFI for up to 250 guests. The main train station is located 1.2 miles (2 km) away and Strasbourg airport is located 18.6 miles (30 km) away. By car, take the A5 or B3/33 highway to reach our hotel. Feel at home in Offenburg: The visitors of the European City next to French Alsace love the open-minded nature of Offenburg, the cheerful cityscape, the mild climate and the good air of the Black Forest. All rooms are air-conditioned and have flat-screen, telephone and kettle. At the 4-star Mercure Hotel Offenburg am Messeplatz, you can choose between Standard Rooms with a king-size bed or twin beds, Privilege Rooms with a king-size bed or twin beds and five Privilege Suites with double beds. All 132 rooms in our hotel are air-conditioned and have free WIFI. One child aged up to 12 years can stay in a parent's room free of charge and can enjoy breakfast at half price. Your pet is also welcome to stay with us (charge of EUR 10/night). In our "Hofkammer" restaurant, we serve specialties from the region with a selection of international dishes too. Look forward to a few blissful moments and pay us a visit between 6.30am and 11.30pm. In our popular beer and wine tavern "Schenke", you can enjoy wine from the Baden region, delicious beer, other refreshing drinks and something to eat. Come and while away the hours between 5pm and 1am.